Credit for the banner goes to Toa Onaku, who helped out overworked me. Heroes – Heroes are the force of good in Makuhero city and across the galaxy. They have powers and weapons, and can get to any planet they wish via Hero Pod or Dropship. Powers and Abilities: Please stick to one/two main powers and one/two minor abilities. Keep it simple. For example, your character might be able to fly and shoot fire from his hands (main powers) and was specially designed for speed and endurance (minor abilities). Weapon(s): The weapon or weapons of choice for your Hero. Please be reasonable. A bunch of small throwing knives or dual swords is good. Two machine guns or warhammers is bad – stick to one per character, please. Appearance: A MoC, picture, or a written description will do. Bio: Who is your character? What is their personal history and background? What are they like to be around? Do they have any hobbies or interests outside of crime fighting? NOTE: All hero characters, unless specifically noted IC, have a feed from their optical sensors to Mission Control. This allows Zib to provide guidance and direction to Hero Characters, track their locations, and contact Zib and Mission Control for help. Characters can scramble these signals IC if they wish Mission Control not be apprised of a certain event, or if they want to go rogue or off the grid. Villains and Monsters – Wanted criminals for everything from theft to violence to just plain being a threat. Villains have powers and weapons – how mobile they are is up them and their wiles. Powers, Abilities, & Weapons: The powers, abilities, and weapons that your villain employs. Your villain may have many weapons but no powers, or many powers but no weapons, or a mix of both. Please specify what powers your villain has and what weapons they have to start, if any. Bio: Who is your character? What is their personal history and background? What are they like to be around? Do they have any hobbies or interests outside of crime and nefarious schemes? Why does your villain dislike Hero Factory and/or he or she in the business of villainy? Location: Where is your villain when the story starts? Civilians – Civilians have no powers, but sometimes they have the best weapon of all – information. Mission control has access to Hero Factory’s extensive database, call center operators are the front lines on knowing what’s up, and the media has the power to influence thousands. But that’s not all you can be. Civilians are limited to one per player – we want to focus on the Heroes – but I’m opening it up to add interactions and flavor to the world(s). Job/Location: Where is your civilian? What is their job? If you’re a call center operator, you live in Makuhero city, if you’re a prison guard, you may be on another asteroid. Bio: History and personality of your civilian. No GModding the information powers. You do not get to magically know everything if you are in Mission Control. A good yardstick: If it’s in one of the TV shows or the books previous to the mission, HF probably has it in the database. You are allowed to bring in characters from previous versions of this RPG if you like, but their interactions will not carry over. Alluding to them in your character bio is allowed. You may create as many hero or villain characters as you like. Please do not post like ten characters in one post when there are only like 5 characters created by everyone else in sum total. That’s just absurd. ALL CHARACTER PROFILES MUST BE APPROVED BY ME BEFORE POSTING IC. I WILL ENDEAVOUR TO DO THIS AS QUICKLY AS POSSIBLE. IF YOU FEEL THAT I MIGHT HAVE MISSED ONE, PLEASE REPOST OR PM ME. 1. If a canon character is an integral part of a mission (their names are in the mission briefing at the top) they are under the control of the GM for the duration of the mission. You cannot play as them in this case. 2. All players, including the GM, may play as said NPC. Their actions cannot cancel each other in an unrealistic way. In the event of a conflict, the first player’s post will stand unless I indicate otherwise. 4.Be realistic in all NPC interactions. 5.You are required to have at least one original character to join this RPG. You can’t randomly walk in here and start controlling NPCs. Locked NPCs: These characters' headers will be posted in red. These are canon characters only I can post as for the duration of the mission - standard players cannot post as these. If you need a response from a locked NPC, please wait for the 5 minutes it takes for me to type a reply. Unlocked NPCs: These character's headers will be posted in green. These are characters that all players with active characters can post as. If you're waiting for a response from an unlocked NPC, you can just post as them to decide what they would do. Or someone else can post as them. Or whatever. Player Characters: These characters' headers will be posted in black. These are my characters, including the secret gamemaster mysterious ones. If I need to dictate another player's character's discoveries or something like that, this will also appear in black. 1. All approved characters, whether Heroes, Villains, or Civilians, are allowed to own their ships to battle against the Brain Master. 2. Ships may be posted along with the characters that pilot them to battle, but they will not be approved if their drivers aren't approved. 3. Large Ships require three approved characters and two players playing them to be a thing. 5. You are not required to own your own ship for this mission. You may choose to hitch a ride with another approved ship, use a standard dropship, or battle the Brain Master's forces and other villains on the ground. Ship Size: You may specify Small (the size of a Hero Dropship, suitable for 1-5 passengers, small weaponry like guns and lasers), Medium (up to 10 passengers, can have a few large weapons such as a cannon or space for hauling cargo or torturing prisoners), Large (think the size of Traferous' ship). You may also specify the size of your ship in more specific detail if you want something in-between. NPCs onboard (if applicable): Small vessels are not allowed to have civilian NPCs, medium vessels are allowed one or two. Large vessels can have up to 50. Please specify what they do - do they operate the weapons? the engines? Villains aligned with the Brain Master may have brains aboard ship as NPCs. IMPORTANT: Hero NPCs and Mission Control characters (Zib and Quadal) cannot be claimed for a ship here. If they join your vessel, your character will have to ask them IC, and they may turn you down. Communications Systems: Who can your vessel communicate with? Hero Factory? The Galactic Conspiracy? Traferous? The Brain Master? Nobody? Somebody else? Everybody? Navigation and Drive: For Heroes, this section may be brief. What sort of navigation information is available to the pilot? Are their 360 degree cameras? Extensive star maps? How is the ship piloted? Like a standard Hero Dropship? Multiple battle stations? Any special considerations should be listed here. Weapons Systems/Armor: What weapons does the ship have? Does it have thick armor plating, cloaking devices, or energy shields? Indestructible vessels will not be tolerated. Propulsion Systems: How fast and agile is this vessel, and how does it move? You don't need to go into oodles of detail, but please keep in mind the laws of physics - a heavily armored vessel is not going to be agile. Also, to be clear, propulsion is related to acceleration in space, not speed, considering the lack of friction in space. Land vs. Dock (Atmospheric): Can your ship land on a planet or asteroid safely? For most small and medium-size vessels, the answer will be an obvious yes. Large vessels is an open question. I was asked after some confusion about NPC capabilities during the first mission to write this up. So here we go! 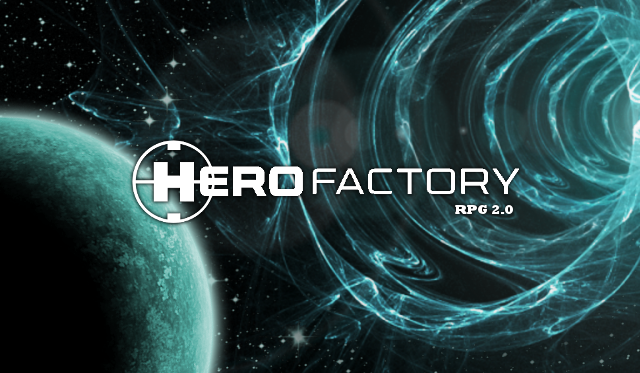 Job/Location: Mr. Makuro is Hero Factory's founder and main inventor of new technology. Bio: Mr. Makuro is a gentle, soft-spoken inventor with an air of charisma and dignity, especially when explaining his newest inventions to eager crowds. However, Mr. Makuro actually believes that new inventions and innovations are the answer to just about every problem and puts too much trust in them for his own safety. He also doesn't deal in politics very well, despite his charismatic polish, and frankly is more at home in his inventor's lab. Job/Location: Zib is the overly-stressed out leader of Mission Control, responsible for keeping Heroes informed and on their way to their next battle. Bio: Zib has been in Mission Control for as long as anyone can remember - at least, from the day that Mr. Makuro decided that he wanted to focus on inventing new Heroes instead of directing missions. While Zib does have a whole group of other Mission Chiefs to assist him, for some reason he is often the one that other heroes refer to. Bio: Jawblade has been in and out of Hero Factory containment. His original crime was trying to get into the power conduit to Hero Factory underwater to disable it (see book Legion of Darkness). He also escaped in the Villain Breakout and used Oxidium against the Alpha Team member Stormer. He also enjoys swimming. Location: Hero Factory Villain Storage, maximum security. His Blade weapons have been taken from him. Powers, Abilities, & Weapons: Black Phantom is a strong and muscular robot with a very large power reserve, something he has used to his advantage. 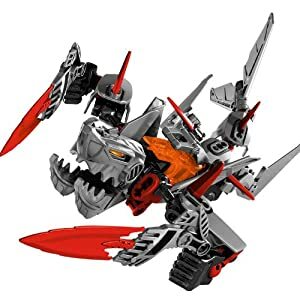 He also has a combination blade/mace weapon and his collection of Aracknix drones, which can divide and combine with each other, fire energy blasts, and create fields of energy. Bio: Black Phantom was once the leader of the Legion of Darkness, a villainous organization that nearly destroyed the younger Hero Factory, and orchestrated the villain breakout. He is cunning, ruthless, and sadistic. On the extremely rare occasions when he is not plotting, he has played chess against computers and violent video games. He doesn't like the company of others, and when things aren't going well he is known to simply disappear. Location: Hero Factory Villain Storage, maximum security. His drones and the maceblade have been taken from him. The drones have been released back onto the planet where they are from, making it unlikely for him to get them back. Powers, Abilities, & Weapons: Corroder has the ability to create, control, and absorb acid. He's also a fan of gas bombs, which give off a nasty odor and can corrode stuff. Hence the name. He also has used a pair of claws to focus his acidic powers, and a shoulder blaster. Bio: Corroder once attacked a prison asteroid and was imprisoned along with Von Nebula. He escaped in the Breakout and was recaptured. Corroder has a reputation for acting arrogant and dim-witted, which is plenty dangerous given his power set. Location: Hero Factory Villain Storage, maximum security. His claws have been taken from him, and his cell is made of reinforced concrete in addition to laser bars all around him. Powers and Abilities: Merrick Fortis has powers similar to the Kanohi Volitak and strength capable of throwing Bulk across the room. He has telescoping, x-ray, and infrared vision. Weapon(s): Merrick carries a single grappling hook weapon. Bio: Fortis is the leader of the Hero Recon team. He paid a visit to Quatros to spy on Witch Doctor and appointed Rocka to watch Villain Storage during the Breakout. He's also kept track of Vex's and Striker's recent adventures on Tranquis and Streptos, but left the actions to Zib. Powers, Abilities, & Weapons: Queen Beast has the ability to create, control, and absorb acid. She also makes coccoons capable of imprisoning a Hero, Civilian, or even a villain in a state of stasis, unable to wake up until someone opens or destroys the coccoon. She wields a sharp-bladed staff, and has enough strength to knock over a Hero with one swipe. Appearance: Queen Beast is blue and orange in color, and has six limbs - four legs and two arms. Bio: Queen Beast is normally a benevolent and caring creature, living peacefully under Antopolis and caring for the evolution of new beast-like creatures. The evil brain controlling her, however, is filling her head with the idea that the inhabitants above at threats to be destroyed. She is resisting with a fair degree of success, but the other beasts aren't so lucky. Powers and Abilities: Julius Nex is the poster boy for Hero relations, spending time on social media with the civilian population regularly. He carries a triage kit capable of healing, reviving, or modifying any hero in the field. Weapon(s): Plasma blaster, laser cutter, and Breakout-style Hero Cuffs. Appearance: This set looks ugly. Bio: As part of his programming for Hero relations, Nex is witty, charming, and a shameless flirt. He's been on a whole bunch of missions by now, revealing that he also is ambitious and goal oriented. When he's not checking Herofeed or Herobook, he can be found enjoying a game of roboball with Furno. Mechna is particularly famous for three things: factory tours, mechanized theme park rides of various kinds, and manufacturing of various kinds of technology. Huge disparities exist from rich villain apartments filled with slaves to slum districts where low-level villains scrape by on petty crime to hotels to factories. The one thing that it all has in common is the slick metal plating, the robotic arms, and the incredible amount of other industrial equipment. 1. The Grunge District - Most classy villains would stay out of here. Everyone on the street will rob you blind or kill you to rob you blind. The area is famous for the excess of shady bars and female pleasurebots like what Fravi once was. This place is in terrible repair - the oldest section on Mechna, this place is filled with broken down technology that no longer works. Many bots scrape by repairing or disassembling these machines and selling them in the other districts or even off planet - for the highest price they can get the suckers to pay. 2. The Middle District - Many villains live on the lap of luxury here. Although this area actually isn't preferred by most rich - they usually prefer lush and green planets to the dingy smog of Mechna, the constant thrum of machine noise, and the threat of theft. Instead, this area is composed of apartments that middle-class villains live in with their modest slave holdings, and some that are rented to high-class villains in timeshares for when they have to be on the planet to conduct business. These two districts abutt and blend together and aren't distinguished by those names IC; the OOC distinction is just to show the difference. The Middle District is North of the Grunge district. 3. The Government Hall - This old yellow building - it used to be white - houses the council that runs Mechna's government. Rumors have been circulating that the Galactic Conspiracy has significant inroads here. 4. The Slave Market - These are underground in the Grunge District and the Middle District. Many villains in the Middle district will venture into the Grunge District for lower prices on slaves. 5. Factory Area/Slave Living Quarters - On the opposite side of the planet from the Tourist District, the Factory Area abutts the Middle/Grunge area. Conditions in this area make the Grunge district look like a nonstop party. Slaves are kept in cells with barred windows and are rarely allowed to venture out. Slaves are run on murderous four-hour rotations and punished mercilessly for any mistakes. Many dream of being a house slave in the Middle District as a better destiny. 6. Tourist District - On the opposite side of the Government hall from Middle/Grunge and the Factories is the Tourist district, filled with theme park rides like rollercoasters and ferris wheels. There are also five "clean factories" that the government uses for tours - ticket prices are the only thing making these operations profitable. 1. All BZPower and Lego RPG rules apply. No GModding, bunnying without permission, autohitting, or other RPG ills. Tennising is OK for the most part – with our small player base, two characters or players interacting with each other is fine. However, if a third character or player enters the situation, please acknowledge their interaction as well – that’s just common courtesy. 2. Heroes cannot perform Nova Blasts. 3. Powers involving food – i.e. donuts, cake, pie, ice cream, or other similar edibles are not allowed. 4. Unless indicated otherwise, I am the gamemaster of yonder RPG. If you have a problem with one of my decisions, please take it to a PM to avoid disrupting the interaction. Unless I indicate otherwise, all decisions are final. 5. Please use IC and OOC for your posts. 6. Please respect all decisions made by your fellow members in their choices of interaction. Unless it falls under rule #1, taking issue is a waste of space. If you must, take it to a PM. 7. Please respect all decisions made/warnings made by the Lego RPG staff. Periodically, I will be bringing you, the players, assignments from Mission Control. If you are a Hero, you may choose to join the Mission, and if you complete the mission you will receive a reward. If you are a villain, you may feel free to oppose the mission in any way that you see fit, and if you successfully oppose the mission you will receive a reward. Unlike in the typical Hero Factory storyline, villains do have a chance of achieving your objectives. Play your cards well, and you may be the future crime master of the galaxy. You are not required to join or oppose a mission – you may choose to do your own thing. You may also allow your own thing to intersect with the mission at hand if the story allows. The Valos system is a tortured place to be. Unlike the Streptos system, the Tranquis system, or the Makuro Belt, the star of the system is surrounded by an oddly crackling force ring, which seems to be responsible for the nasty changes that the inhabitants have to endure. Legend has it that several planets have passed through the star itself, only to reappear later - which would explain the planet that just appeared two years before. 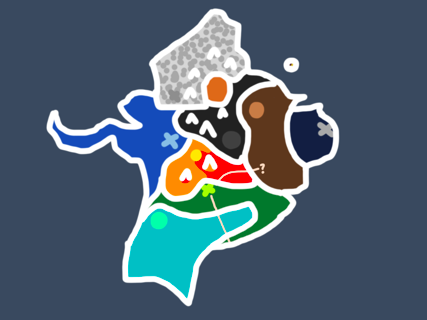 It is in this system that the planet Mechna can be found, home to robotic slavery, trafficking of said slaves, and sweatshop factories that make Makuhero City's factory district look like paradise. Crime runs rampant among the city streets - but the truth is, no civilianslive on Mechna. Everyone on the street is a villain - just some more nefarious than others. And all of the villains keep their slaves - civilian or not - locked up. Except for the public government of Mechna, who sweeps all of that under the rug and presents the gleaming metal hallways and robotic arms as a tourist attraction. None of the government sponsored tours reveal what that planet is really all about - selling goods for the highest profit imaginable. The latest sponsored tour, however, has included something that no other tour has dared to include - a sweet portal into the unknown. Except that no one has come back from the portal yet, and...it has grown so big that another planet nearby has called in to say that Hero Factory might be interested in investigating before the entire planet of Mechna...and maybe the entire Valos system...is sucked in. Hmm. Seems like a villainous plot if there ever was one. Or like...5? 1. Investigate the person who called in about the portal. 2. Go to Mechna and investigate the portal itself. 3. Investigate the planet of Mechna itself. 1. If possible, destroy the Astral. 2. Conceal the true nature of Mechna, and the portal. 5. Help Traferous fix his ship and get out of Makuhero City (this is more local). CHARACTER PROFILE POSTING NOW OPEN! I will make every effort to approve or return profiles as quickly as possible. Character profiles must be posted IN THIS TOPIC. PLEASE SPECIFY WHETHER THE PROFILE IS FOR A HERO, VILLAIN, OR CIVILLIAN IN THE PROFILE UPFRONT. MAKES MY LIFE EASIER. THANKS. Edited by fishers64, Apr 23 2016 - 10:16 PM. Powers and Abilities: Strength and girth were reduced in favour of speed and stealth when his design was made. Some may consider this a downside, but he enjoys the advantage that comes with the element of surprise. Weapon(s): He prefers the use of his hands, but in the case that more is needed, he is equipped with a collapsable Bo-staff, and around five shurikens. Appearance: Black, gray, and dak red, he is very much ninja based in apearance, with purple being the colour of his core and eyes. Bio: Smitty Slink is a stealth operative, and as such, he gets to be a ninja for a living, he loves it. Smitty is generally a playful character, but when it comes time to follow orders, he gleefully shuts up and does what he's told. His hobbies include surprising people, especially when they don't like to be surprised, eating bagels, and...doing his job I guess, he loves his job, and when you love your job, it's not a chore, but a privilege and an honour, as well as fun, in his oppinion. Edit: I assume that this guy is a hero, correct? Since he's following the Hero Profile? PLEASE SPECIFY WHETHER THE PROFILE IS FOR A HERO, VILLAIN, OR CIVILLIAN IN THE PROFILE UPFRONT. MAKES MY LIFE EASIER. THANKS. Edited by fishers64, Sep 01 2015 - 06:50 PM. Powers and Abilities: For starters, Marcel can move incredibly fast and respond accordingly. (Takes up one major slot for speed and one minor for response time) Gravity generators are built into his feet to allow him to cling to any surface(Takes up one major slot), and his chassis is especially oriented towards endurance. Weapon(s): Fold-out shortswords with blades made of an odd grey metal that is highly resiliant and light that extend from his forearms. Appearance: Marcel is gold-and-gunmetal. His eyes are covered with a gold visor. Bio: Marcel moves fast and talks fast to a general degree. He has a disdain for heavier weapons and hardware that slow one down, but he recognizes that team members decked out that way make good support. He has a tendency to be highly impatient, and is arrogant about his speed. He enjoys running and parkour, as well as lots of computer games. Sorry, he is a hero. Powers and Abilities: This crazy Hero is slightly stronger and very agile. Devices along his body produce a holographic image, allowing him to impersonate anyone his size or larger. He has to have seen the being/item, though. He can also use his right eyepiece as a telescope. Weapons: Ghid carries a shield based completely off the design of his old one, only this one is much stronger and electronically enhanced, allowing him to fold the blades in mentally. He also has saved the holographic skins of Mr Vyle and Traferous' beast form, as well as any Heroes he encountered. Having tinkered with his wrist after the last mission, Ghid has built his communicator directly into it to avoid losing it. Appearance: Ghid Squidulus is taller than most, and is of a weak-ish looking design. All white with orange eyes, he wears an Akaku '15. Ghid Squidulus was designed as a super A.I., but despite his intelligence, he turned out an insane half-wit with a knack for fighting. He can switch from happily chatting away to dead serious and back to a maniacal laugh. Unpredictable in every one sense of the word, The Squid also likes sophisticated clothing and will sometimes makes that or glasses with his holograms. Oh, and he tends to attack opponents from angles most would consider ridiculous, like seriously speaking out nonsense or complimenting on the floor during combat. On his first actual mission, Ghid was shoved into the field of battle with no hesitation whatsoever. He was then beat on pretty bad by Mr Vyle and lost his hand, which was later repaired by a healing droid hacked by Jimmy Acabus. He followed Saracen Rune's party underground after the foyer of a hospital got destroyed, and encountered Mene Vantal, otherwise known as Traferous. After assisting greatly in the defeat of Dumacc, Ghid followed the monster Traferous until he was defeated into a smaller form, which fooled Eloise Thumper and assisted in destroying a rocket aimed for Hero Factory. Edited by Ghidora131, Oct 16 2015 - 10:58 PM. Powers and Abilities: Heavily armoured, and was generally designed as a tank. He has sacrificed speed for brawn and armour, meaning his abilities have a bit more offensive potential. His first ability is super strength, he can lift about 2 times the weight that normal heroes can. His second is the ability to generate shockwaves in the ground, which is sometimes enough to create fissures. Weapons: A large battle axe is usually enough for Dane. Appearance: Much bigger than other heroes, with a head resembling a Vahki head. His arms are armoured up, with one side more so than the other. Almost considered a monster by others. He is blue and grey, with white accents. Bio: Dane's speciality is soaking up damage and dealing it back out. He is usually shunned by other heroes, but he doesn't care. What he cares about is furfilling his duty. What that is depends on his orders. Edited by Jayne Cobb, Sep 01 2015 - 10:02 PM. Powers/Abilities: Specifically designed for situations such as fires in urban and rural areas, he has a major resistance to heat and his enhanced strength is used for smashing down doors. Weapon: He wields a tool known as the jaws of life. They can cut through metal debris with ease, but they are not suited to combat. Appearance: His color scheme is composed of tones of black, orange and red. Flare's feet are bright red and his toes are a bright orange in color. The leg armor on his frame is ebony and his red core is locked inside a small cage that can open at will. The torso is the same color as his toes. His shoulder pads are red in color, along with his left hand. However, his right hand stands out from the rest of his arm as it is keetorange. A titanium faceplate covers his mouth and a black visor hides his yellow eyes. The rest of his head is orange in color, with red flames painted over the top of the head. Biography: Flare is a firefighting hero who participated in the ordeal of fire by evacuating civilians. The hero was created as a firefighting unit to access areas too dangerous for the civilian firemen to access. He likes to move around and cares about the safety of others, going as far as to risk his own life to save complete strangers. Flare enjoys playing with a frisbee and often spends his time throwing disks at training dummies. Edited by Lewa the Soaring Champion, Sep 02 2015 - 01:03 AM. Powers and Abilities: This crazy Hero is slightly stronger and very agile. Devices along his body produce a holographic image, allowing him to impersonate anyone his size or larger. He can also use his right eyepiece as a telescope. Weapons: Ghid Squidulus carries a three-pointed shield about half his height, which each point being a blade, and can spin this shield effectively. He also carries a tiny dagger. Ghid Squidulus not approved for the moment, due to being overpowered. I'd think that Ghid would only be able to impersonate people or things he knows, to start. Also worrisome to me: does this character have the ability to imitate voices as part of his impersonations? With the added strength and agility on top of it, even if they are minor abilities, and the telescoping lens, I hesitate to approve. Please remember that no Hero is fully invulnerable - while I understand the point is to make him so he can take more hits and I will allow much of that, I'll be watching to make sure things go fairly. Appearance: His color scheme is composed of tones of black, orange and red. Torch's feet are pm right red and his toes are a bright orange in color. The leg armor on his frame is ebony and his red core is locked inside a small cage that can open at will. The torso is the same color as his toes. His shoulder pads are red in color, along with his left hand. However, his right hand stands out from the rest of his arm as it is keetorange. A titanium faceplate covers his mouth and a black visor hides his yellow eyes. Biography: Torch is a firefighting hero who participated in the ordeal of fire by evacuating civilians. The hero was created as a firefighting unit to access areas too dangerous for the civilian firemen to access. He likes to move around and cares about the safety of others, going as far as to risk his own life to save complete strangers. Torch likes to play with a frisbee and often spends his time throwing disks at training dummies. I'd think that Ghid would only be able to impersonate people or things he knows, to start. Oh. I thought that would be obvious, sorry. does this character have the ability to imitate voices as part of his impersonations? Terribly. I myself am a terrible voice impersonator, so I know how to play it out. Best give him undercover roles where he gets to shut up. Write me up some better language to reflect that, and I'll approve it. You did say "anyone", though. We already have a canon NPC who has an encylopedic knowledge of characters and Hero Factory (hey Stormer), so I could see how this character could magically "know" a lot of people, and thus be able to do literally anyone. I want you to be reasonable about that. Right now I have strength and telescoping lens as minor abilities with agility and the disguise/impersonation as major powers. Just getting a villain profile ready. Powers/Abilities/Weapons: The miner turned villain carries a pickaxe for mining and after the discovery of biodermis, a uncommon ore spread throughout the universe, managed to rebuild his lost arm from the metal. It provides enhanced strength that is localized to the left arm. Appearance: Rock Raider is humanoid in stature and he has grey legs, but the rest of his torso is black. There is protective gear on his body parts, but his torso is covered by an olive green vest and there is a pair of goggles around his neck with green lenses. His head is protected by a black hardhat. His left arm is turquoise in color. Biography/Personality: He was an optimistic and hardworking miner as a civilian, but due to an accidental cave in set off by explosives, Rock Raider was trapped and left for dead after a section of the tunnel collapsed and the heroes sent to rescue the civilians were unable to find him. He saw this as an act of leaving him for dead and with his free hand, cut himself free of the rubble and continued working without his arm, believing that he would have his revenge soon. Edited by Lewa the Soaring Champion, Sep 02 2015 - 07:03 PM. Edited. Also when I have the time i'll get a MOC up. We got four heroes ready to go, now it's time to play the waiting game. Approved...but I do have it in the notes that all characters need to start on Tranquis VII. It's best to put him there shortly after the game begins so he can interact with other characters as opposed to being orphaned. Job/Location: Hotel manager and hostess for the Grand Tranq, Tranquis VII. Bio: Tracia became the hotel manager for the planet's luxurious hotel after the natural disaster that rocked the planet. She still has her share of emotional scars from that - in her opinion, Tranquis was such a beautiful place - leaving her bitter and disillusioned. Among the first to notice the brains in town, Tracia sounded the Hero alert that brought Rocka to the planet in the first place, only to see him being taken over by a brain. Running from the brains and doing her best to stay away from them and Rocka, she is looking for someone, anyone, to help. OOC: From now on, imam gonna be using this speech-ing even if we haven't started yet. OOC: Alright, there's no point in keeping folks waiting around. If you still want to join the show, feel free to post your character profile for approval - you're basically allowed to join anytime, like any other RPG. Dumacc frantically barked orders to his group of scientist robots. "Hurry! This rocket booster should have been completed three days ago!" he shouted at one particular assistant. "We launch in three days, sir." Dumacc looked over the controls. "But that may not be soon enough." He pointed through the glass at a giant rocket being constructed to his left. "How is the explosives disarming going?" Karter sighed. "That's not a big concern. That explosive material has no source of power." "It could be getting one real soon," Dumacc replied. "I don't want my revenge on Hero Factory undercut. You get on that." Just then the console in front of Dumacc blinked. "Four more Hero Pods incoming!" Karter cursed. "As if the explosives wasn't bad enough, now we have the Hero Factory onto us!" "Arm the robots with the explosives." Dumacc hissed. "Hunt them down until they are all captured or destroyed." Karter nodded and ran to do just that. These past couple of weeks had been horrendously headache worthy, with all questions and no answers. First the brains invaded. Then a bunch of mining bots had discovered a deposit of explosives that seemed to be seeded all over the planet - and to come from seemingly nowhere at all. He didn't have too much time to reflect on that, though. "Go meet our new arrivals." he ordered to about five of the machines. "Kill or capture." He fitted another five of the robots with the explosives, and the command to detonate them once they got close to the Heroes. Karter and Dumacc's robots: These robots are small metal humanoids equipped for climbing, and they all have deadly lasers to smash through a hero's armor. "My friend needs immediate medical attention!" Bulk said. "If he doesn't get what he needs soon, he will stop functioning!" "Oldest trick in the book, Hero." snapped the guard who didn't even look up from his game of RoboSolitaire. "Even if you were telling the truth, I think he should just die, along with the rest of the Hero Factory. Pathetic excuses for law enforcement, always getting in our way." Bulk pushed against the bars, bending, but not breaking, them. Rocka barked an order to the half mind-controlled civilians of Tranquis VII. "This way! Run!" The brain controlling him growled in frustration at how hard it was to make the Tranquis denizens obey. Rocka himself ran on ahead, ready to distract the Heroes in battle so the brains could capture them. That, and stealing their transport. Tracia fought off two of the evil brains with a pipe. Scorched and burned from days of nonstop running, hiding, and fighting, Tracia looked and felt like she had been through a war. Many other beings had given in to the half-control of the brains. But not Tracia. She would fight and kill them until they were all gone, even if it took her another thousand years. She still had hope for this place, even after all of that. So she punched another brain in the face. She wondered where in the galaxy the Hero Factory was. OOC: Karter's bots are approaching fast, Rocka and the brains/controlled civilians are on their way. Good luck. Edited by fishers64, Sep 02 2015 - 04:47 PM. Marcel watched the robots through the viewscreen of his Pod, trying to guide the pod into a landing space big enough to allow him full use of his powers. IC Smitty Slink: Naturally, Smitty attempted to maneuver his pod away from the bots, but piloting wasn't exactly his strong suit, and he failed. OOC: Rock Raider open for Interaction. Also, where is Tracia and will villains get mind controlled by brains should they get too close to them? OOC: Tracia is at the ruins of the Grand Tranq. As Rock Raider turned to leave the theater, an evil brain sensed an opportunity to add a villain to his horde. With a trademark screech, the brain leaped for the villain's right arm, thinking it might climb up on the villains' arm to seize control. OOC: So it's more like the no-autohitting RPG standard. Now obviously if you wanted to have your character be controlled by a brain for whatever reason, that would be allowed, but I don't see why you would want that. That's a legit GM IC for real, by the way. The ninja hero would find that his Hero Pod had collided with two of the enemy robots down below, rendering them inoperable. Fortunately, these were not of the explosive variety. Unfortunately for him, his Hero Pod was quite badly damaged as a result, tossing him out on the sands of Tranquis. Man, I haven't played an RPG in four years. Time to give it another go. Weapon(s): A rod of nanites. This can be shapeshifted into almost any simple tool, weapon, or object. While one of the most versatile tools ever created, it also has limitations compared to standard tools. It is somewhat weaker than the alloys modern tools are created from(although still plenty strong for most uses), and if it is exposed to extreme electrical, thermal, or magnetic forces, it will enter a "safe mode" and will be locked into its current form for around 30 minutes. Appearance: A hero of mostly average build and statue, except that he is slightly slimmer than most. His teal and silver armor is incredibly sleek-looking, owing partially to the time he spends polishing it between missions. An emblem similar to the Star of Life (minus the rod) is on his shoulders. Bio: Splint is a Hero built to be a medic. He travels to other planets as a first responder, arriving before the villains have been neutralized and the normal emergency teams can come in. He is also sent with Hero teams going on dangerous or long-range missions where medical support may not be able to arrive quickly enough. Splint's job means he has a good understanding of mechanical systems, and in his spare time he enjoys tinkering with objects. Most of the devices in his house have been modified or at least disassembled by him at least once. He dislikes any plan that involves unnecessary risks, and will usually attempt to try and find a safer solution if possible. Other: Some clarifications - the nanites used in the rod are a different type than the ones Splint generates. If the rod is destroyed somehow, he can't replace it with the generated ones. The healing nanites also take a few minutes to work - they're not Wolverine-style instant healing, and they can't regrow limbs either(though they could reattach a severed one). Edited by Unit#phntk#1, Sep 03 2015 - 02:33 PM. Powers and abilities: Overall design was created with agility and stealth in mind, plus night-vision built into the visor of his helmet; as such, reconnaissance/espionage is Jet's forte. Currently training to develop a Baguazhang-esque fighting style to make up for his slight build. Weapons: A pair of pulsed-energy gauntlets that can shock/stun/paralyze the target on contact. Appearance: Basic Hero design, albeit a tad scrawnier. Armor is a blackish gray overall, his gauntlets are silver, and his core and eyes are electric blue. Bio: Jet is a rookie who's only just started taking on missions without a mentor. Being relatively diffident, he tends to keep to himself, but doesn't let that get in the way of carrying out his assignments. Deep down he's a very chipper guy, and amuses himself by slipping in out of nowhere to spook his fellows. He's also quite the bookworm. Edited by FallenCor, Sep 03 2015 - 12:30 AM. IC Jet: The rookie had been sent off a few minutes later than the first wave of Heroes, and arrived in time to see some of them already engaged in combat. They haven't even left their pods... Jet observed with concern. Presently, he maneuvered his own pod some distance away, hoping to come in on foot as a much smaller target. IC (As Rock Raider) (Theater): "Get back!" The miner growled as he swiveled to the right and opened his hand to grab the brain. OOC: Nah, that was exactly what I had in mind, just worded better. Smitty got up, shaking his head, trying to get the sand out of his helmet. He looked around, trying to block the sand from his eyes, he thought he saw something in one direction, so he began walking. You know, piloting a pod is hard when you're huge. So when I crashed down onto the planet, I wasn't entirely surprised. First mission, first time flying a pod. I got out, drawing my weapon. Smitty notices another pod crash, and some behemoth of a hero get out of it, he starts running towards the crashed pod. OOC: He is running towards Dane. Seeing one hero trying to run towards the other, one of the robots ran at Slink to try to tackle him, only to find that Smitty was just too fast. Edited by fishers64, Sep 03 2015 - 10:24 AM. He looked back at the robot who had attempted to tackle him, but then tripped because he was still running while looking back. Luckily for him, when he fell, he narrowly avoided any fatal injury from the laser that had been fired, but was too late to avoid injury entirely. The evil brain fell into the villain's grip, but immediately began wriggling the feet along its sides, trying to to escape and crawl up its captor's arm. Meanwhile, near the back of the theater, an evil brain tried to remove a glcycerin lens from one of the theater's cameras. It was hardly the fastest manuever the living cerebrum had ever attempted, but it felt that controlling the robots on this planet was worthless. Time to build a weapon to destroy the robots and free its cousins. IC Jet: A laser-blast glanced off the hull of Jet's Hero pod just as he was leaving the vessel, giving him a start, and he ducked reflexively. He didn't have any long-range weaponry, and therefore could not return fire. All he could do for the time being was to run for the other Heroes and keep an eye out for more enemy fire. OOC: By the way, what time of day is it supposed to be? I saw another hero. He had fallen. I quickly made my way over to him, offering him my hand. "Looks like I wasn't the only one with pod troubles." Splint had some prior experience with Hero Pods, although not much - he usually arrived by dropship. Still, it was enough for him to land in a fashion that would allow the pod to be reused, even if it wasn't a very gentle touchdown. He exited the pod, and was greeted by a narrowly missed laser blast. And here I was hoping we could maybe go five minutes without encountering hostiles for once. Forming his nanites into a shield, he started running over to where the massive titan was helping up the ninja-looking hero. "Yeah, they should really make those things harder to crash," he sees another hero coming towards them, "I rest my case," he mutters. As Dane bent to help the ninja hero, the pod behind him would blow up, sending chunks of it everywhere. On the plus side, the flying and fiery debris had taken out more of the the robot horde around them. On the minus side, some of the flying debris could be headed in Dane's and Slink's direction. Unit, on the other hand, would still be far enough away to avoid getting hit. However, three more of the pesky drones were on his tail, trying to nail him with lasers. The brain controlled denizens Rocka had been leading turned to run at the sight of Karter's attack. "Stop!" Rocka said. They stopped. The evil brains that followed Rocka, unattached to citizens, tried to attach themselves to some of Karter's robots. One unfortunate brain leaped onto one of the robots, only for the robot next to it to slice it in two with a laser. "Distract them." Rocka said to the civilians behind him. But apparently this was too much for them to comprehend. So Rocka began wacking his way through the robots, slicing through them with his sword and blocking lasers with his shield. His goal was simple: obtain the functioning Hero Pods and secure them against the other enemies to be used as planetary transport to escape the planet. OOC: This is Rocka's Brain Attack form, for those curious. Edited by fishers64, Sep 03 2015 - 04:28 PM.